Please note that all of the laptops can be configured differently. The Alienware 13 R3 and 15 R3 laptops with an IR presence detection camera are supported by Tobii Aware. Tobii Aware gives you access to Windows Hello face authentication and a selection of Power features, read more here. You can identify that your device has the IR presence configuration and not the eye tracking configuration by checking if you have dual cameras on top of your screen. Alienware 13 R3 and 15 R3 with Tobii Aware. The Alienware 17 R4 can be configured with an IR presence camera also known as Tobii Aware, but it can also be upgraded to be configured with an integrated Tobii Eye Tracker. The Alienware 17 R5 laptop can be upgraded and configured with an integrated Tobii Eye Tracker. Tobii Aware gives you access to Windows Hello face authentication and a selection of Power features, read more here. This configuration has dual cameras on top of your screen frame. 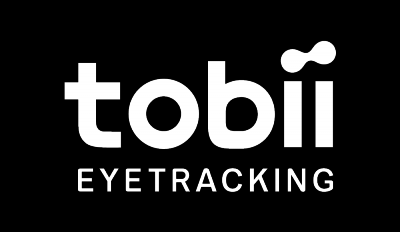 Tobii Eye Tracking gives you access to all of our Alienware Eye Tracking features and has support for all games that feature Tobii Eye Tracking. To set it up for games, please download and install Tobii Game Hub. This configuration has an eye tracker bar right below the ALIENWARE print on the bottom of the screen frame. What games work with eye tracking? Using Tobii Aware? Please update.